Migration from the Middle East brought hundreds of thousands of people to the Americas in the late nineteenth and early twentieth centuries. By the time the Ottoman political system collapsed in 1918, over a third of the population of the Mashriq, i.e. the Levant, had made the transatlantic journey. This intense mobility was interrupted by World War I but resumed in the 1920s and continued through the late 1940s under the French Mandate. Many migrants returned to their homelands, but the rest concentrated in Brazil, Argentina, the United States, Haiti, and Mexico, building transnational lives. 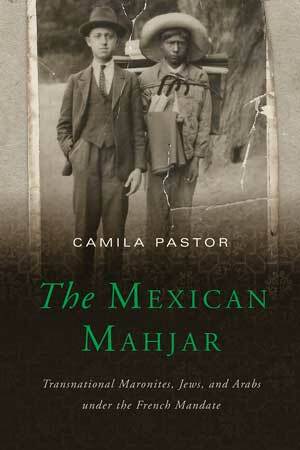 The Mexican Mahjar provides the first global history of Middle Eastern migrations to Mexico. Making unprecedented use of French colonial archives and historical ethnography, Camila Pastor examines how French colonial control over Syria and Lebanon affected the migrants. Tracing issues of class, race, and gender through the decades of increased immigration to Mexico and looking at the narratives created by the Mahjaris (migrants) themselves in both their old and new homes, Pastor sheds new light on the creation of transnational networks at the intersection of Arab, French, and Mexican colonial modernisms. Revealing how migrants experienced mobility as conquest, diaspora, exile, or pilgrimage, The Mexican Mahjar tracks global history on an intimate scale. Camila Pastor, The Mexican Mahjar. Transnational Maronites, Jews, and Arabs under the French Mandate, University of Texas Press, 2017, Introduction, pp. 1-22. Andreas Wimmer and Nina Glick-Schiller, “Methodological Nationalism, the Social Sciences, and the Study of Migration: An Essay in Historical Epistemology,” International Migration Review37(3), 2003, pp. 576–610.